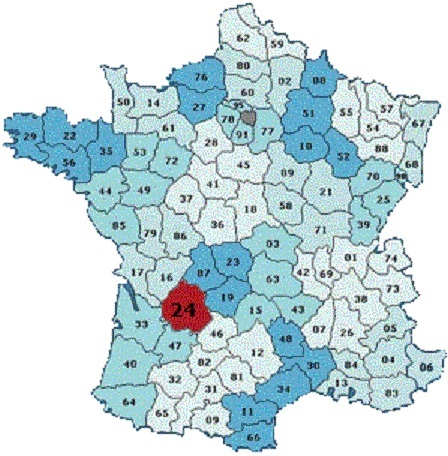 De province Dordogne is located in the south-west of France in the region Aquitaine. 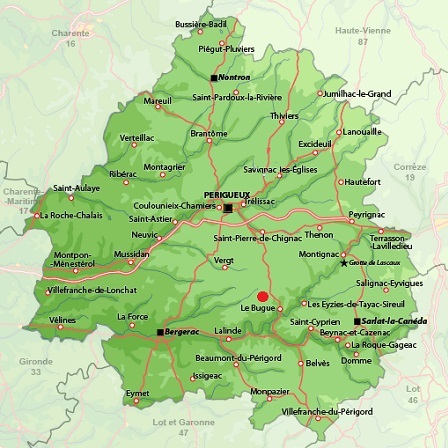 Our house is located centrally in the triangle between the three largest cities of Dordogne: Périgueux, Bergerac and Sarlat (all at 35 km distance). All destinations in the Dordogne are within easy reach. This is the village where our house is located (click on the button Satellite for display in 'real' images).